By now, if you are reading this then surely you know that World Cup Qatar 2022 will be played in the winter during the months of November and December. Uproar, concerns, disappointment in the soccer world. But who really stands to lose? Business. Club soccer business. Seven years out and already major pieces are being moved, and, interestingly, one of the first outcomes is in the United States. The Fox Broadcasting Company acquired the rights to World Cup 2026 (yet to find a host) in what ESPN deemed to be an unfair move. But what prompted this change was something specific: November and December are crowded months for sports in America. Having to deal with consequences of the addition of a major sports tournament surely required extra recompense. Scheduling of European and major South American leagues will be a bit of a nightmare. November and December are key months for decision making on the state of a team as they head into transfer windows. It's also a time of important games in the Champions League. Scaling back player break during the summer window might be a way to address this, as will restructuring cup competitions. These soccer leagues and the international tournaments they take part in are lucrative businesses that depend on long term planning to maximize profit. Television rights, travel considerations, player compensation, mid-season injuries must all be accounted for. There are still seven years to make this work properly. Further, as Mr Blatter stated, this is a one time deal. World Cups will continue to be a soccer tradition after the trophy gets handed over in Qatar. Plenty of leagues around the world already take breaks in the winter, like the Bundesliga, Scandinavian leagues, MLS. Surely others can do this as well. The question comes back to all of us, however. Why Qatar in the first place? 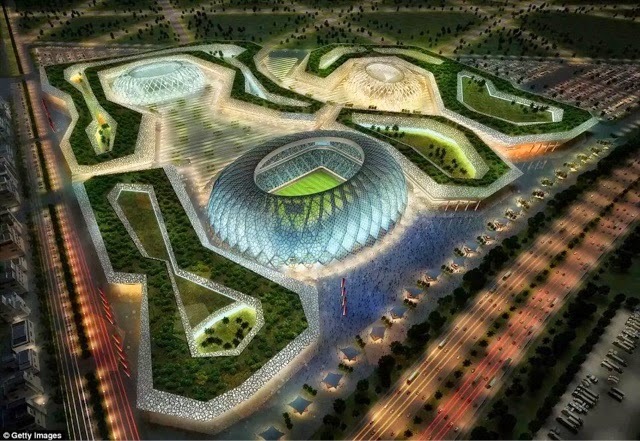 Consider that even the Confederations Cup will not be held in the Persian Gulf country. FIFA has made it clear Qatar will be the host, no matter what truths may be out there, as clear as they are, for the reason this country was picked above other worthy nations.